When the New York Times decided to sell WQXR, there was a possibility that New York City would lose its last remaining full-time classical music station. While we would love to have been able to afford to buy 96.3 and keep WQXR at its current place on the dial, it was simply too expensive a proposition. Fortunately, a three-way deal presented itself, which allowed us to achieve our long-held goal of finding another FM frequency for full-time music programming. The New York Times sold the rights to broadcast on 96.3 FM to Univision in exchange for 105.9 FM – formerly the home of Univision’s Latin music station WCAA – and $33.5 million. The New York Times simultaneously sold WNYC the vacated frequency 105.9, as well as the WQXR brand and equipment, for $11.5 million dollars. Unfortunately, the terrestrial signal of 105.9 is not as powerful as the 96.3 FM signal – we expected 105.9 to reach 86% of the listeners who could hear 96.3 (this is due to our new B1 class of license). We know this is frustrating for many of our long-time listeners, but we are not able to change or “boost” the signal, as we are limited by the FCC’s terms of the license. Our engineers are exploring opportunities to expand the 105.9 signal using repeaters and other technologies (repeaters and translators are essentially transmitters that allow a station to carry its broadcasts over a greater distance either on the same frequency as the main channel or other frequencies). In the meantime, though, we must work with what we have. If you are outside the new listening range, you might try listening to WQXR online at wqxr.org. This requires a high-speed internet connection and good speakers at home or at work. In the car or on-the-go it would require a hand-held mobile device like a Blackberry or an iPhone, but it entirely removes the question of signal range. We understand that listening to WQXR with a computer is not the aesthetic some listeners are looking for; therefore you might want to consider an Internet radio—a stand-alone device that can tune in thousands of free radio stations broadcast online. Internet radios come in traditional table top form and are also available as “tuner” style radios that plug into an existing hi-fi stereo system or speakers. Listening on an internet radio not only eliminates the entire problem of static and interference (since it is not broadcast over air waves), but also puts thousands of other stations across the globe at your fingertips.  Tips on listening to our online stream can be found here: http://www.wqxr.org/#/audio/help/. If you have no problem receiving 93.9 FM clearly, you may be able to tune into our HD broadcasts. Tuning into the HD signal would require an upgrade to an HD radio. (Most models allow you to also tune into analog AM and FM signals, as well.) Digital radio provides a clearer sound than analog radio, and it helps cut down on static cause by multi-path distortion – that echo sound or static that sometimes occurs if reception is faltering (this can be especially common in metropolitan areas). HD radios are available in car, hand-held, and table-top models. You can also purchase HD tuners that plug into existing home stereo and speaker systems. To listen to WQXR, you would tune to the HD 2 channel on 93.9 FM. For more information on HD radio, please visit this link: http://hdradio.com/what-is-hd-radio. More information about tuning in with an internet or HD radio can be found on our website at http://www.wqxr.org/#/audio/hd_internet/. We hope that these suggestions prove useful to you, and please don’t hesitate to contact us here with any further concerns.